October is National Breast Cancer Awareness Month and many lifestyle and beauty brands are stepping up to give back to organizations that support breast cancer research and awareness. Here is a roundup of some Posh Beauty Blog’s favorite beauty brands and products that support Breast Cancer Awareness Month. The Barre Code is partnering with The Keep A Breast Foundation. This non-profit organization uses art and educational programs to raise awareness of methods of prevention and early detection of breast cancer. 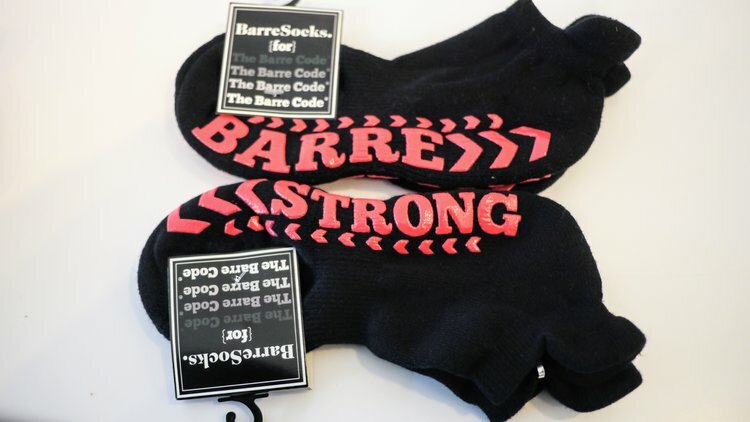 During the month, The Barre Code will have special Barre Code socks available at their studios and online, with a portion of proceeds donated to Keep A Breast. IT’s your turn to be brave and join IT Cosmetics in the #ITCCchallenge – a global movement celebrating your most beautiful you! Your participation can help us raise up to $250K to help women with cancer! Share your “before and after” using CC+ Cream SPF 50+ to support IT Fighters and IT Survivors everywhere! For every #ITCCchallenge post, IT Cosmetics™ will donate $1 to Look Good Feel Better to help women face the appearance-related side effects of cancer with confidence! The campaign will continue through the end of November – share with your friends, so they can take the challenge too! Share on social, using code #ITCCchallenge #itcosmetics @itcosmetics! Also, IT Cosmetics has a NEW limited-edition foundation brush for you - The Love Beauty Fully™ Love is the Foundation Brush. IT’s luxuriously crafted and supports a good cause! For every Love Beauty Fully™ Love is the Foundation Brush purchased during Breast Cancer Awareness Month, IT Cosmetics™ will donate one to the Look Good Feel Better® program! Together, we’ve donated over $27 million in products! Plus-size retailer, Torrid, partners with the National Breast Cancer Foundation In October in an effort to raise money in the fight against breast cancer. Torrid customers can give to the organization through straight donations, the purchase of breast cancer awareness products (20% will support the foundation), including a t-shirt collection, intimates and Hello-Kitty inspired active wear, or by rounding up purchases to the next dollar. For every $10 donation in store, customers will be gifted a limited-edition breast cancer awareness tote, while supplies last. Disclosure: Press samples were provided by some of the brands/PR for editorial consideration, product testing, photography and review. How do you give back during Breast Cancer Awareness Month? Leave your comments below!